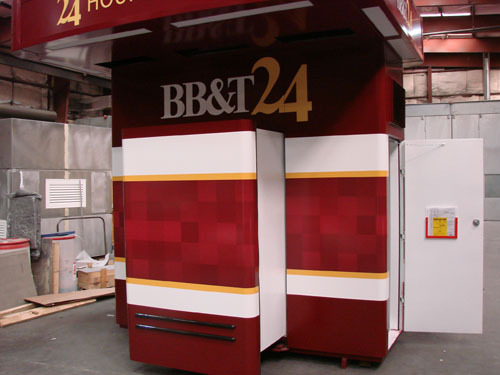 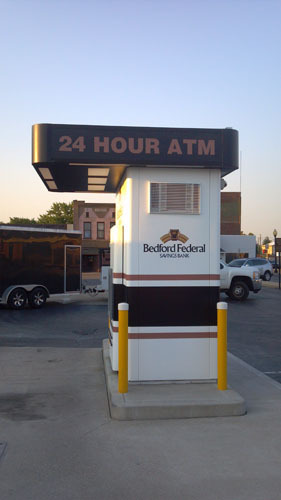 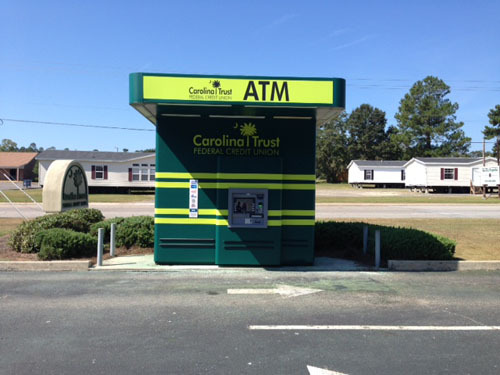 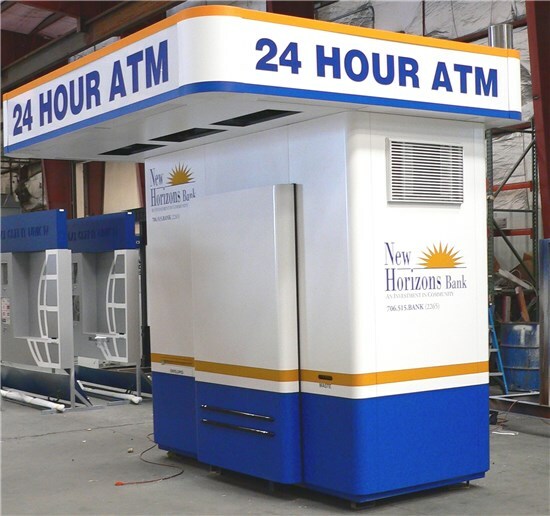 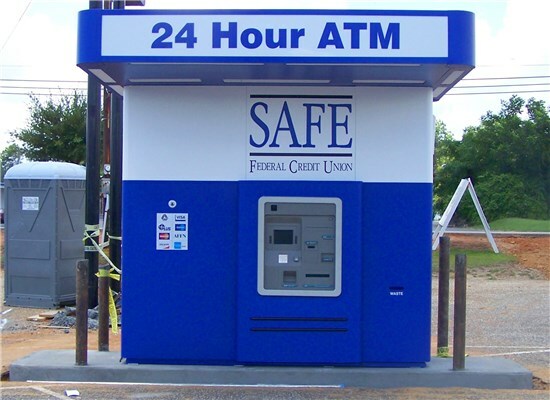 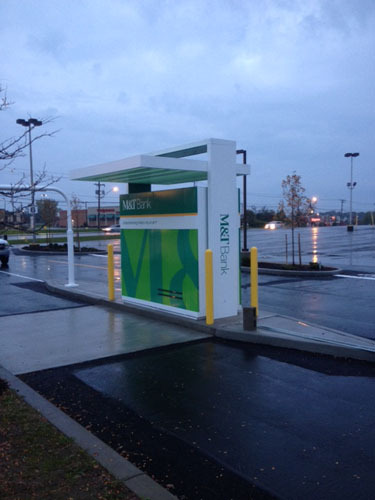 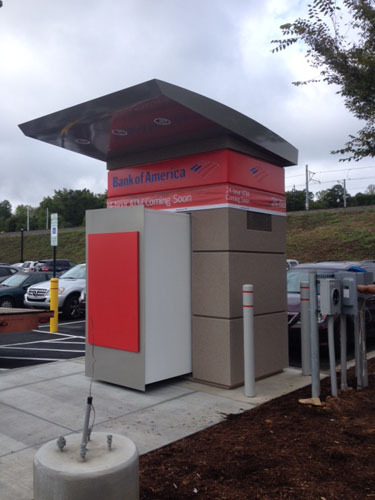 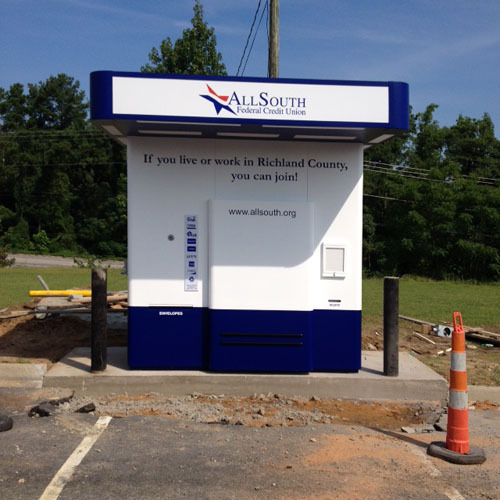 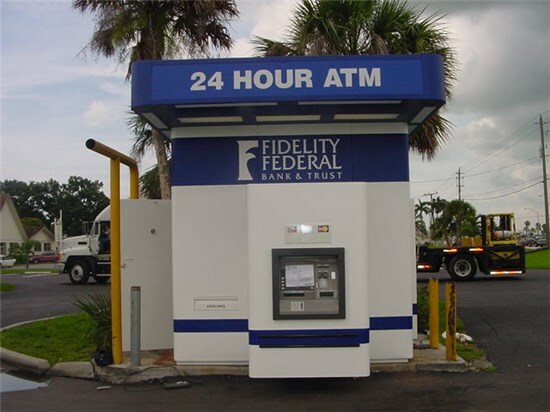 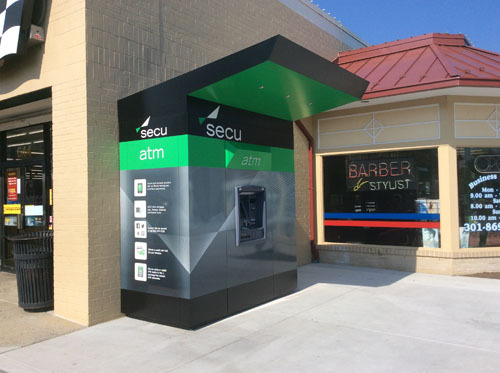 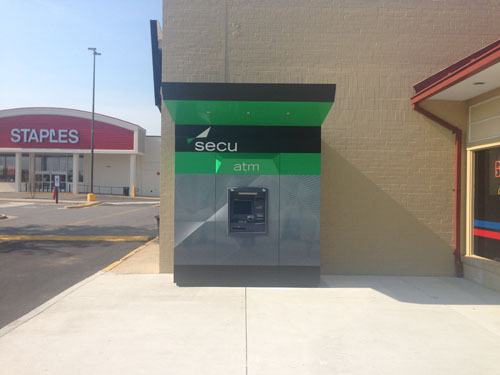 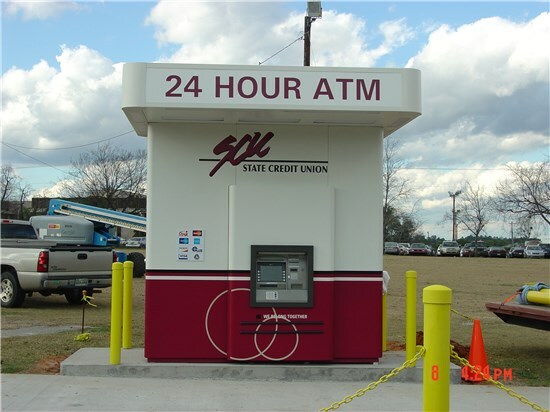 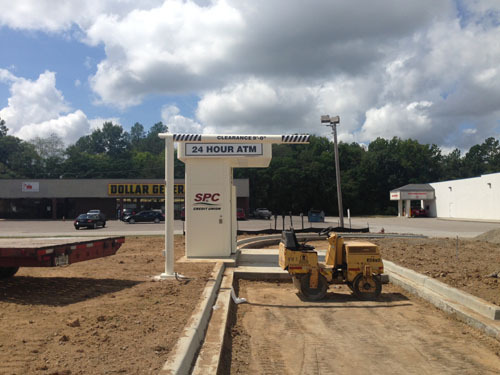 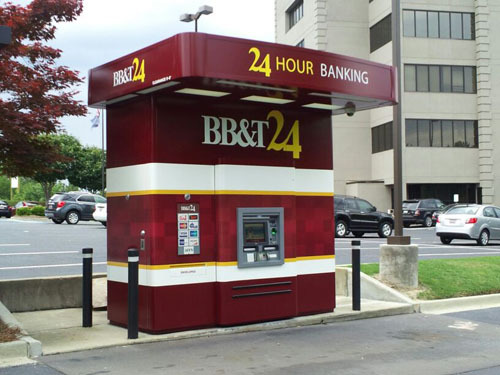 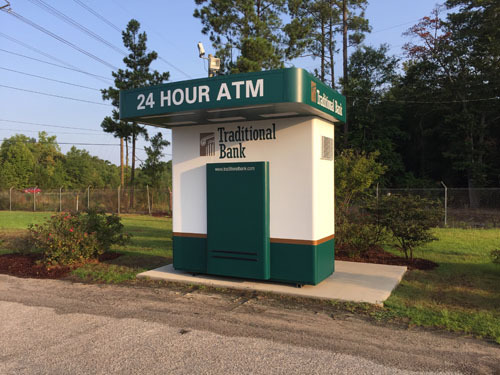 The Model 200 ATM kiosk is designed for use in a branch parking lot or anywhere a small footprint is desired and a canopy is required. 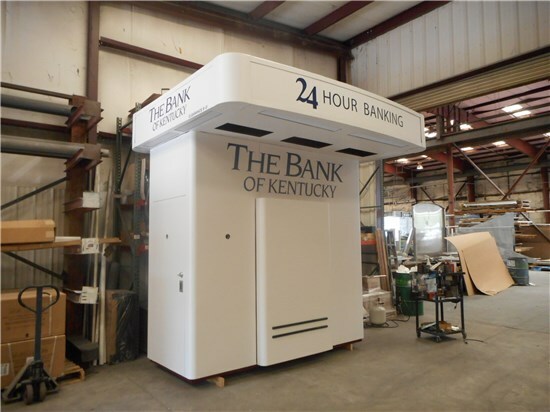 The included canopy in this 8.6’ model shields customers from the elements while keeping them safe with security downlighting on all sides. 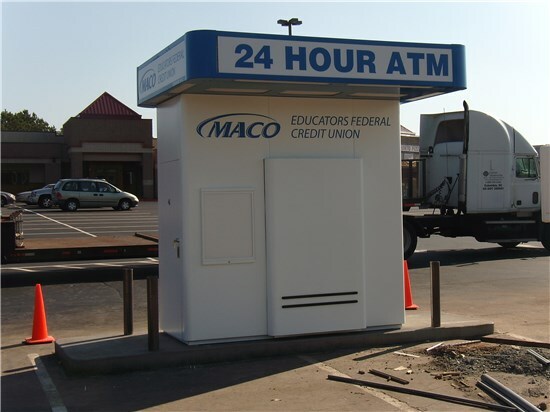 The Model 200 comes standard with UL-approved illuminated sign boxes on all elevations. 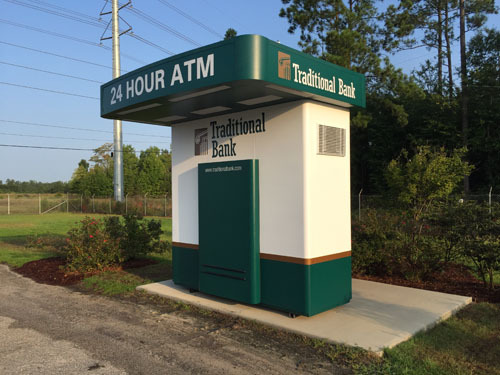 For an even smaller footprint or a walk-up alternative, consider our Model 200 Mini .